I think it is fitting that I am featuring the "Sweet Summer" Sale-A-Bration stamp set this week. For the second day in a row I'm waking up to snow -- granted it is just flurries and not adding up to much, but I. Am. Done. I don't even like the to look at snow anymore! I'm also waking up today with the start of a cold... Yuck! You know, sore throat, one side of my nose that won't stop running and an overal feeling of yuckiness. So to say that I would like summer to arrive would be an understatement! Actually, though, I don't want to skip spring as I love that season. I love the fresh feeling spring brings with new buds on the trees and little birdies chirping in the morning. Just as long as it is no longer 20 degrees and snowing -- that's the weather I would like now. I'm just saying. Anyway, enough whining from me today... on to today's card. It is actually not very summer-like colors, but I like the pop of bright blue. The color is Pacific Point and I usually find it hard to work with, but this card came together fairly easily. I love the mix-and-match aspect of the Sweet Summer stamp set. You'll see I used a different "flower" than yesterday so each and every card you make with this set can be truly different. Fun! 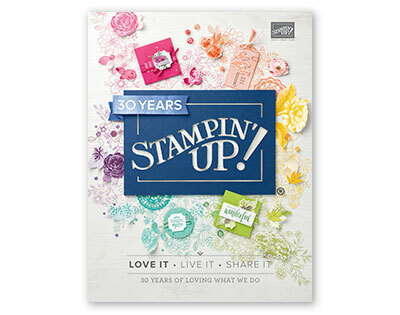 Don't forget that if you place a $50 order with me either online or through e-mail you will qualify for free Sale-A-Bration item -- which could be this cute "Sweet Summer" Stamp set! I hope you have a great day! I'm off to cuddle under a blanket with my breakfast before I must get ready for work.